If you’re after a mixture of rustic and industrial for your home this New Year then look no further than our latest new arrival from our Heritage range. 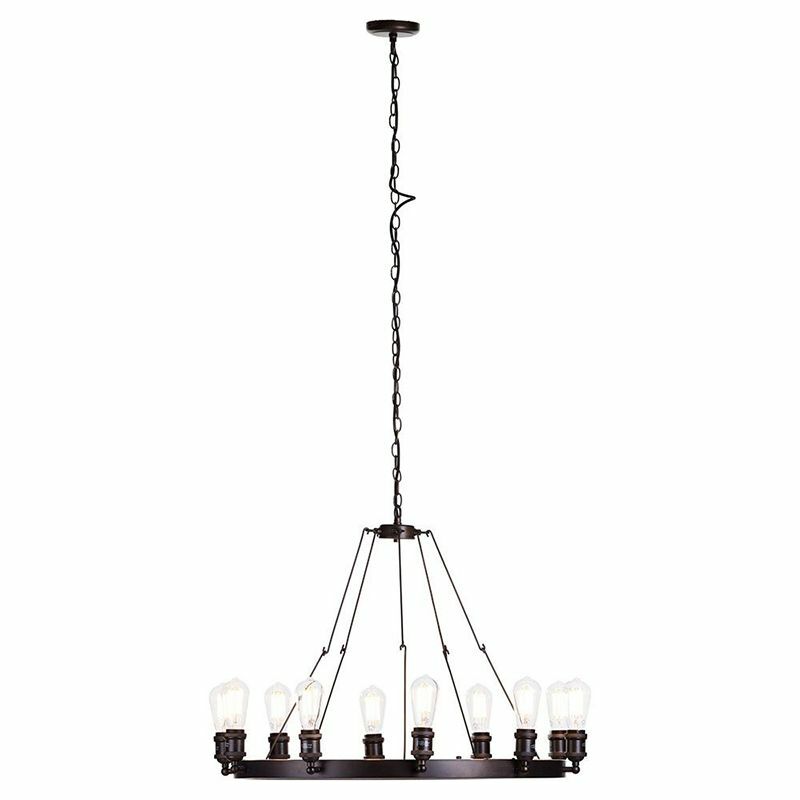 Our Carter Cartwheel Ceiling Pendant Collection features three oversized rustic chandeliers boasting an industrial design with a medieval influence. This new range is available in three sizes, choose from our 10 light design, our 15 light option or our eye-catching doubled tiered 25 light for a magnificent display. Our Carter Collection boasts a cartwheel inspired shape suspended from metal hooks giving it a sturdy and stable design. 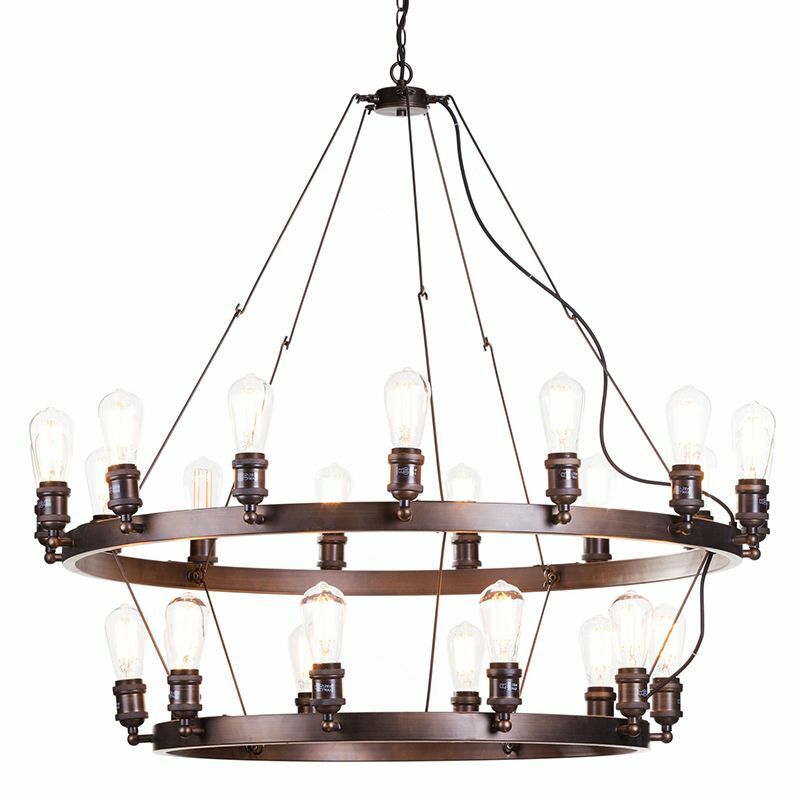 The industrial vibe comes into play with an exposed bulb feature. 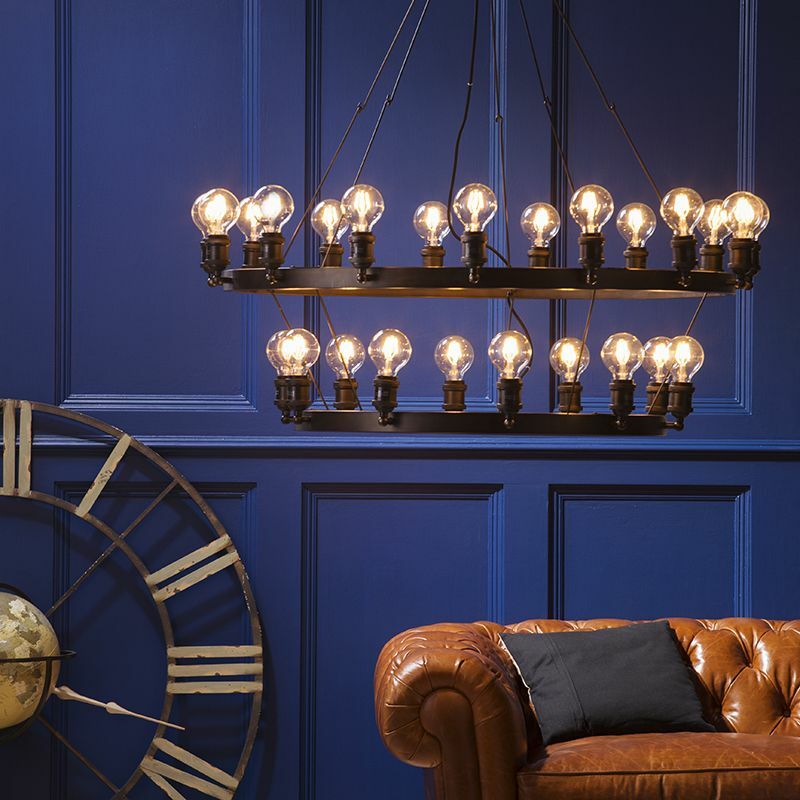 We’ve given our customers the chance to play about with this feature by not including specific bulbs with the range, this way our customers have a choice of which style of bulb they’d like. 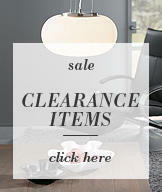 Litecraft offer a wide range of vintage style filament bulbs including globe and teardrop designs. 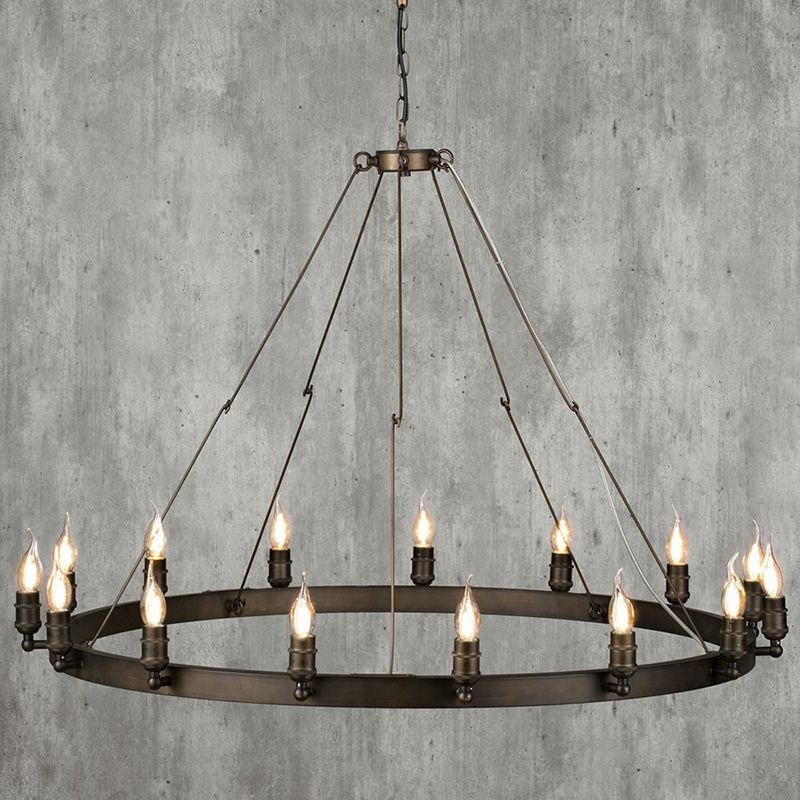 The stripped back tarnished rust effect finish of this beautiful collection really captures the notion of industrialism whilst also giving a warm and welcoming ambience when lit. For our braver customers check out our extraordinary 25 light 2 tier option. 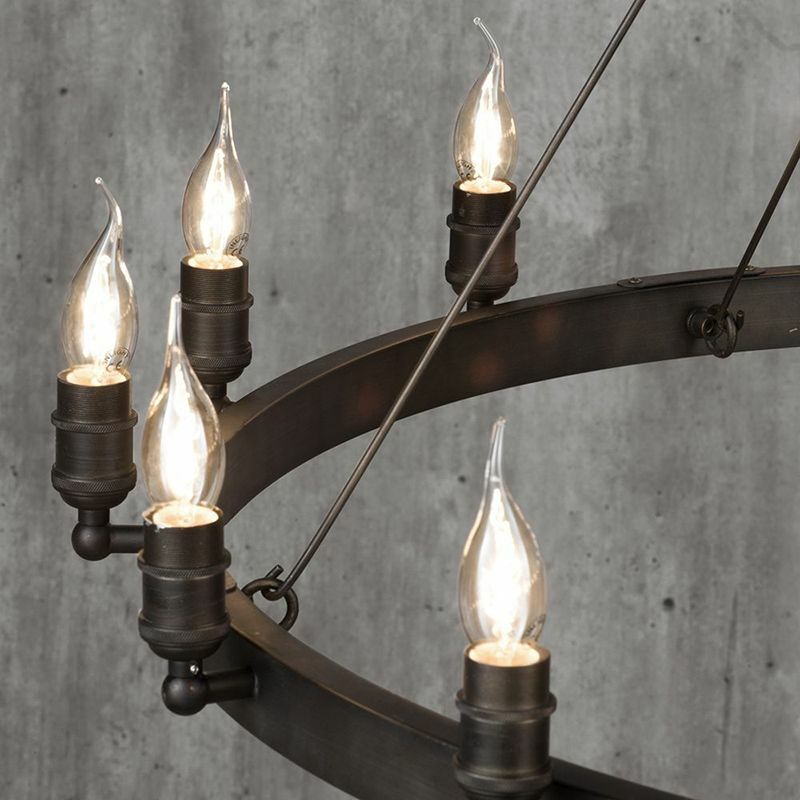 A bold statement piece consisting of two cartwheels, both featuring the exposed bulb design, rust effect finish and overall industrial influence. 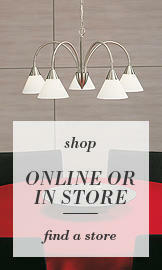 Let us know what you think of this fantastic new range.